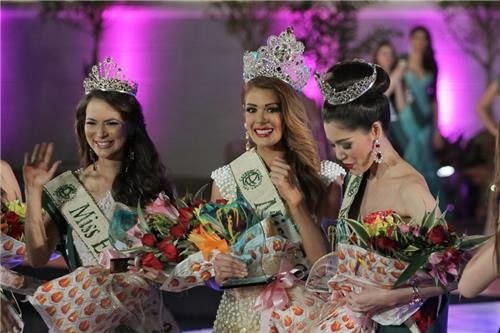 23 year old Miss Venezuela, Alyz Sabimar Henrich Ocando won the title of Miss Earth 2013 which celebrates it's 13th edition held on December 7 at the Versailles Palace, Alabang in Muntinlupa City, Philippines. 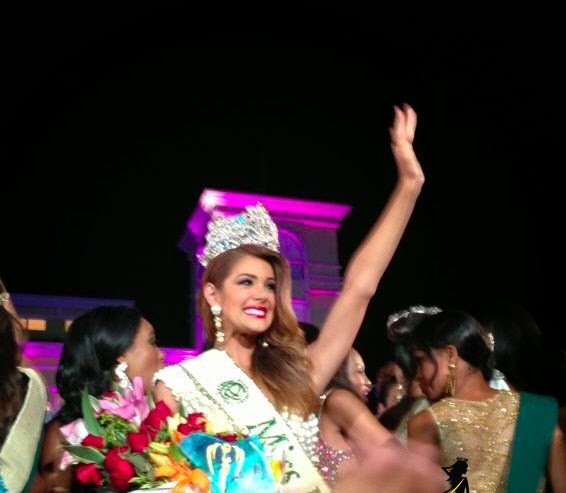 She was crowned by the outgoing Miss Earth 2012 Tereza Fajksova from Czech Republic. Standing 5'9.5" tall, Alyz is from Punto Fijo, Falcon. 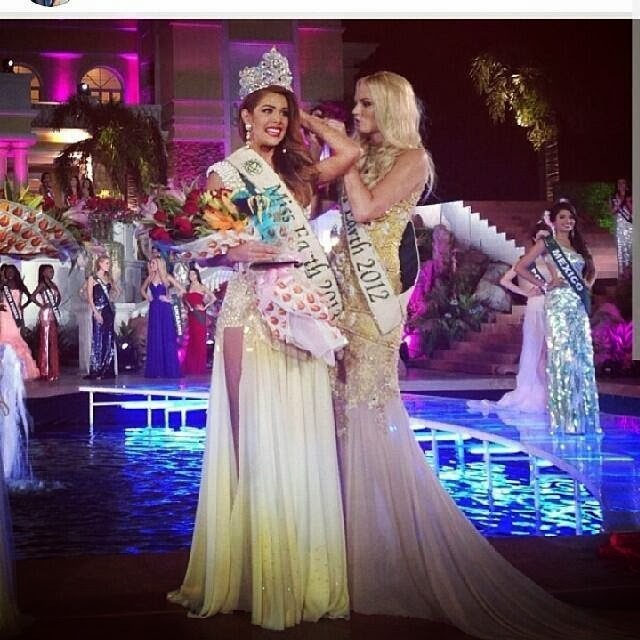 She won the 2nd crown of Miss Earth from Venezuela. First was Alexandra Braun Waldeck in 2005. The event was hosted by Oli Pettigrew, Linda Black and former Miss Earth of 2008 Karla Paula Henry. International balladeer David Pomeranz was invited as guest performer and serenaded the candidates. Crowned as Miss Earth Air (1st run-up) was Austria's Katia Wagner. Miss Earth Water was Punika Kulsoontornrut from Thailand. And finally, the title of Miss Earth Fire was given to Korea's Catharina Choi. 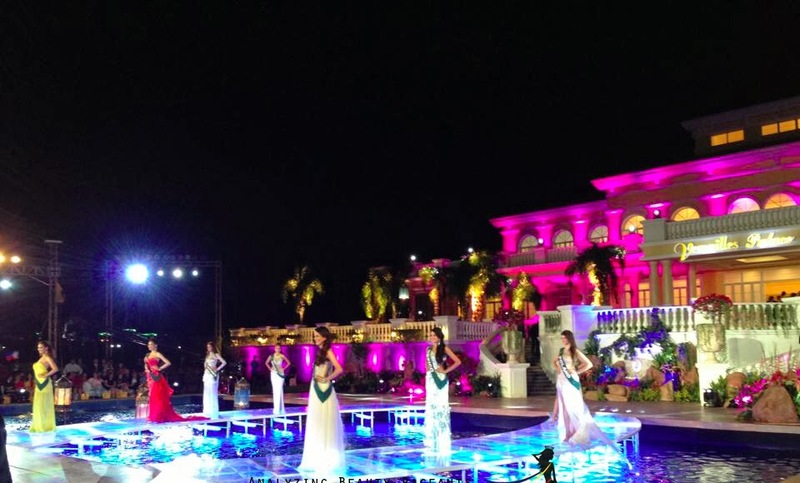 Completing the top 8 finalists were Kristal Silva (Mexico), Angelee Claudette delos Reyes (Philippines), Aleksandra Szczesna (Poland) and Andjelka Tomasevic (Serbia). The top 16 semi-finalists were Natalia Lermanda (Chile), Lisa Xiang (China), Sophie Garenaux (France), Virginie Dorza (Mauritius), Ashanti Mbanga (South Africa), Cristina Martinez (Spain), Ezgi Avci (Turkey) and Nicole Velez (USA).